While everyone knows that mom-to-be have big appetite and entitled to huge cravings, you should be mindful about what you gobble down each day to ensure your unborn baby’s safety. Most food such as fruits and vegetables are safe to be consumed uncooked. You may have also taken some uncooked or semi-cooked fish or meat item and you were perfectly alright when you were not pregnant. However, your body resistance may chance if you are expecting. 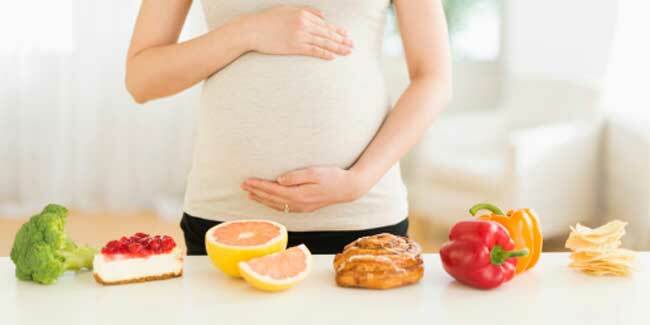 So, look out for some food to avoid while you are pregnant below. If you would like to learn about calorie intake during pregnancy and breastfeeding, vitamins, food intake, food allergies, vegan/vegetarian, from A to Zinc or other forbidden food during pregnancy, refer to Pregnancy Nutrition. Alcohol consumption during pregnancy is a definite no-no. This includes hard liquor, beer, wine, spirits or any beverage which contains alcohol. Drinking can cause serious birth defects to the unborn child. There isn’t a safe borderline established at the moment as to how much alcohol one can take without harming the baby. So, stay away. Next on the list is the famous Japanese delicacy. It’s safe to carry on with your sushi parties but you just need to avoid the raw items on nigiri sushi such as octopus (chukka idako), squid (ika), fish roe, salmon (sake), tuna (maguro), scallop (hotate) and others. The true version of wasabi is anti-microbial which reduces the risk of food poisoning for consuming raw sushi. But this does not guarantee protection to unborn babies in any way. If you are a cold cut or deli lover, make sure the meat you bought is well cooked before consuming. This will ensure the harmful listeria bacteria are killed before consumption. Fry it, steam it, warm it, bake it, but never take it as it is. Beverage that contains high amount of caffeine like coffee, tea or soda increases the risk of miscarriage, pre-term labor or low weight at birth. Try to stay below 300ml of regular coffee and 600ml or regular to be on the safe side. If you can’t be discipline, opt for decaf. Irresistible cheese lovers beware! Avoid unpasteurized cheese such as feta, goat cheese or blue cheese because they may carry listeria, a type of bacteria which may cause miscarriage or pre-term labor as opposed to pasteurized which are safe. So, the next round you shop for cheese, ensure you do some research such as read the label or consult the promoter before buying. Think about curries, Tabasco, Tom Yam soup or fritters, French fries or calamari. It’s certainly savory and an enjoyment to indulge in such food. But remember, while these foods do not possess any harm to your unborn baby, they may actually cause you heart burn or indigestion. So, ensure you take extra care in consuming spicy food.